Having the correct moisture levels in fly ash has become a critical component during processing. MoistTech has developed the IR 3000 Moisture Sensor that is ideally suited to measure the moisture levels in the fly ash manufacturing process. The sensor will monitor the process in both wet and dry applications to reduce dust and provide dryer control. 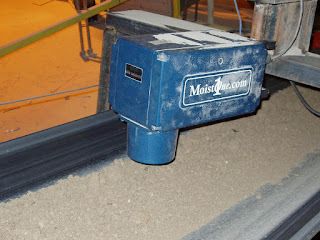 By installing the sensor directly over the material being conveyed, a manufacturer can continuously monitor the process and can control the moisture content either manually or automatically instantly. Dust from the product is not normally a problem however in extreme dusty environments we recommend the installation of an air purge system to prevent the accumulation of material on the sensor’s window. 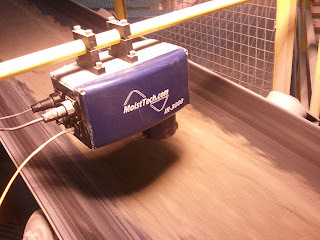 MoistTech is very experienced with the requirements in the production of fly ash. Our sensor calibrations, measurement wavelengths, algorithms and sensor optical requirements are pre-set at the factory. Typical accuracy is about ±0.1% moisture. Typical analog range is 0-10% moisture and up to as much as 40%, subject to application. The outputs can be adjusted to optimize PLC or recording requirements.